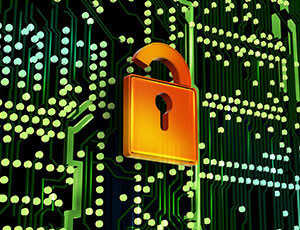 Digital evidence includes evidence retrieved from cell phones, computers, surveillance cameras, and social media sites. PCE can provide information on how digital evidence is captured, preserved and authenticated for use in court, as well as information to assist prosecutors with addressing emerging issues, such as police worn cameras. “Pennsylvania District Attorneys Association Body Worn Camera Best Practices” (May 2018). Click here. Electronic Discovery (March 2018). Click here. “Secure in our Convictions” (2018). Click here. “Police Body Worn Cameras: What Prosecutors Need to Know” (June 2017). Click here. We Need Examples of Cases Hindered By “Going Dark” (April 2017). Click here. Video Evidence: A Primer for Prosecutors (December 2016). Click here. “Combatting Crime on the Dark Web: How Law Enforcement and Prosecutors are Using Cutting-Edge Technology to Fight Cyber Crime” (December 2016). Click here. “Model Police Policy – Body Worn Cameras – An Aid for Prosecutors” California District Attorneys Association and Prosecutors Center for Excellence, (May 2016). Click here. New Evidence in Prosecutions (January 2016). Click here. Body Worn Cameras- Tips for Prosecutors (January 2016). Click here. Going Dark (December 2015). Click here. “Use of Body-Worn Cameras By Law Enforcement Considerations, Issues, and Concerns,” Washington Association of Prosecuting Attorneys Best Practices Committee (6/29/2015). Click here. “Model Body Worn Camera Policy: An Aid to Prosecutors,” California District Attorneys Association Foundation and Prosecutors Center for Excellence (June 2015). Click here. “Body-Worn Cameras: Concerns and Considerations, North Carolina Conference of District Attorneys” (April 2015). Click here. Secure In Our Convictions: Using New Evidence to Strengthen Prosecution (January 2015). Click here. “Body-Worn Cameras: A Report for Law Enforcement,” Colorado Best Practices Committee for Prosecutors (2015). Click here. New Apple and Android OS Blocks Law Enforcement (October 2014). Click here. For more articles and reports about digital evidence on Prosecutor’s Encyclopedia, click here. This topic addresses ways that prosecutors can work with the communities that they serve. PCE can provide information and guidance on the variety of ways that prosecutors are working with their communities to explain the criminal justice system and to form partnerships that enhance trust in the criminal justice system. Getting the Word Out (July 2017). Click here. “The Conscious Prosecutor- Implicit Bias Toolkit for Prosecutors” (July 2017). Click here. “In Milwaukee, prosecutors hit neighborhoods, not just court” (July 2017). Click here. “Investigating and Prosecuting Use of Force Incidents in North Carolina” (December 2016). Click here. “Pennsylvania District Attorneys Association Officer-Involved Shooting Investigation Best Practices” (November 2016). Click here. “Prosecutor Sponsored Community Programs” (September 2016). Click here. Approaches to Reporting the Results of Investigations into Police Involved Fatalities (June 2016). Click here. “The Prosecutor’s Evolving Role” (May 2016). Click here. “Community-Based Prosecution in North Carolina: An Inside-Out Approach to Public Service at the Courthouse, on the Street, and in the Classroom,” Wake Forest Law Review (May 2012). Click here. “The Prosecutor’s Evolving Role Seeking Justice Through Community Partnerships and Innovation” (May 2016). Click here. “Building trust key to preventing civil unrest suburban police chiefs say,” Daily Herald (5/13/15). Click here. For more articles and reports about enhancing community trust on Prosecutor’s Encyclopedia, click here. This topic addresses prosecutor and police ethics, including Brady issues. PCE can provide information on how to develop ethics trainings and ethics policies for prosecutors. Avoiding Improper Closing Argument (June 2017). Click here. Ethics Manual: The Right Thing – Every Time (2017). Click here. “The Right Thing – Ethical Guidelines for Prosecutors” District Attorneys Association of the State of New York (February 2016). Click here. Best Practices Recommendation Brady Giglio Material (June 2016). Click here. “District Attorneys Focus on Emerging Criminal Justice Issues,” Office of the District Attorney General (6/9/2015). Click here. Professionalism and Ethics Manual (2015). Click here. 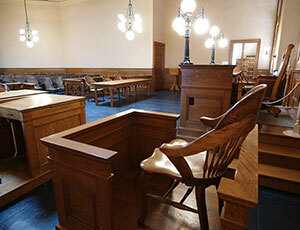 For more articles and reports about ethics on Prosecutor’s Encyclopedia, click here. This topic involves the science of memory and cognition and includes federal and state procedures on obtaining identifications from eyewitnesses. PCE can provide information on how to assess the accuracy of eyewitnesses and how to create reliable police-run identification procedures. “Eyewitness Identification Toolkit” (April 2017). Click here. “PDAA Best Practices Committee Photo Identification Guidelines,” Pennsylvania District Attorneys Association (April 2016). Click here. Jury Instructions v. Expert Testimony (February 2016). Click here. “Model Policy, Eyewitness Identification – Minimum Standards,” Washington Association of Prosecuting Attorneys Best Practices Committee (5/18/2015). Click here. “Identification Procedures: Photo Arrays and Line-ups Model Policy,” New York State Municipal Police Training Council (March 2015). Click here. “Model Policy and Forms for Eyewitness Identification,” Colorado Best Practices Committee for Prosecutors (2015). Click here. For more articles and reports about identifications on Prosecutor’s Encyclopedia, click here. This topic includes forensic evidence of all kinds, such as DNA, fingerprints, ballistics evidence and trace evidence, as well as setting standards for the collection and testing of forensic evidence. PCE can provide information on the use of forensic evidence in the courtroom, how to assess the reliability of forensic evidence and scientific testing, and how to deal with irregularities in a forensic laboratory. “The Impact of Forensic Science Research and Development,” National Institute of Justice (April 2015). Click here. “Customer Working Groups: Benefits for Directors of Public Forensic Laboratories,” ASCLD Executive Education Digest (2014). Click here. 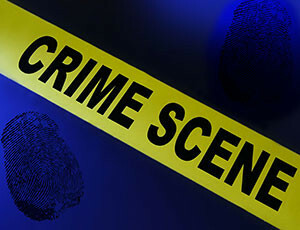 For more articles and reports about forensics on Prosecutor’s Encyclopedia, click here. This topic deals with how prosecutors can contribute to reducing crime. Currently many prosecutors are engaging in innovative ways to work with law enforcement and the community to collaborate on reducing violence and recidivism. 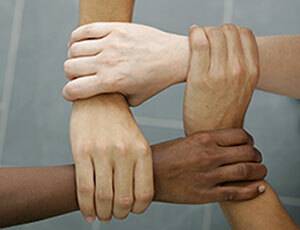 PCE can provide information on promising programs that have been implemented in prosecutor offices around the country. “Investigating Violent Crime” (June 2018). Click here. Substance Use Disorders (October 2017). Click here. “Witness for the Prosecution: The Jailhouse Informant” California Council for Criminal Justice Integrity (August 2016). Click here. 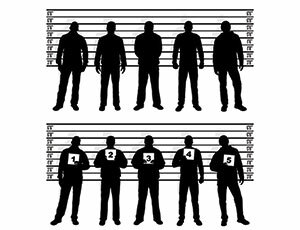 Considerations for Assessing Jailhouse Informants (July 2016). Click here. “Intelligence-Driven Prosecution: An Implementation Guide,” New York County District Attorney (June 2015). Click here. 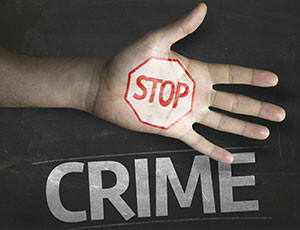 For more articles and reports about reducing crime on Prosecutor’s Encyclopedia, Click here. 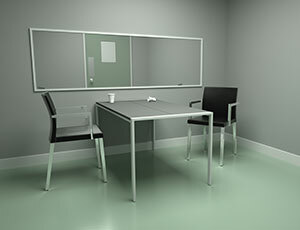 This topic includes video recording of interrogations, claims of false confessions, techniques for interrogating suspects and other issues regarding the admissibility of a suspect’s statements. PCE can provide research and protocols related to these issues. Recording Interrogations – Support by Prosecutors (June 2016). Click here. “Electronic Recording of Interrogations,” Contemporary Issues in Criminal Investigation and Prosecution Working Group (April 2016). Click here. “Recording of Custodial Interrogations: A Report for Law Enforcement”, Colorado Best Practices Committee (2015) Click here. “Recording of Custodial Interrogations – Model Policy”, Municipal Police Training Council (December 2013). Click here. “Missouri’s Experience with Recorded Interrogation Legislation: Prosecutors Lead Effort to Pass Sensible Law,” Journal of the National District Attorneys Association (July 2009). Click here. For more articles and reports about statements of the accused on Prosecutor’s Encyclopedia, Click here. This topic deals with witnesses’ fear of cooperating with law enforcement that is pervasive in the criminal justice system. PCE can provide information on the various sources of intimidation and the strategies used to combat witness intimidation. “Witness Intimidation: What You Can Do To Protect Your Witnesses” (May 2016). Click here. “Witness Intimidation in the Digital Age: The Prosecutor” (August 2014). Click here. “Witness Intimidation in the Digital Age: The Basics” (2014). Click here. “Witness Intimidation in the Digital Age: Intimidation in Pretrial Proceedings – The Philadelphia Experience” (2015). Click here. “Witness Intimidation in the Digital Age: Discovering Witness Intimidation” (2015). Click here. For more articles and reports on witness cooperation on Prosecutor’s Encyclopedia, Click here. This topic focuses on new initiatives developed by prosecutors. One such initiative is the creation of Conviction Integrity Programs within prosecutors’ offices. These programs address claims of erroneous convictions and develop ways to assure that prosecutions are correct in the first instance. 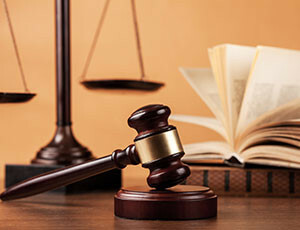 PCE can provide information about the development of a Conviction Integrity Program in prosecutor offices of all sizes. 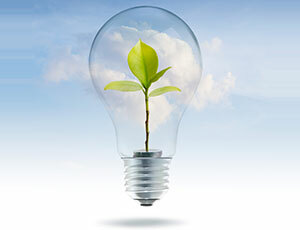 “The Benefits of Electronic Discovery.” Click here. Emergency Preparedness (January 2018). Click here. Missoula County Attorney Trauma Program (November 2017). Click here. Prosecutor Seminars in Law Schools (September 2016). Click here.